I scrimmed this knife for the knifemaker, Kirk Rexroat. 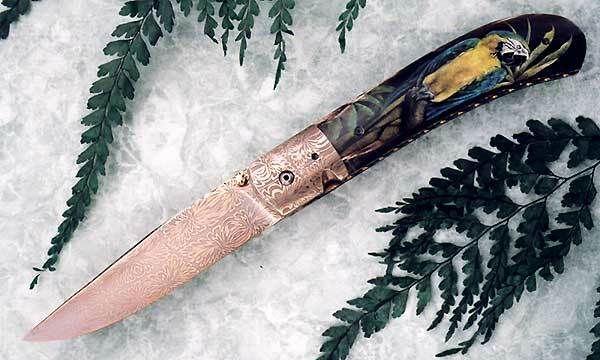 He requested I scrim a Macaw on the water buffalo handle of this knife. You can click on the picture above for an alternate view on the scrim.